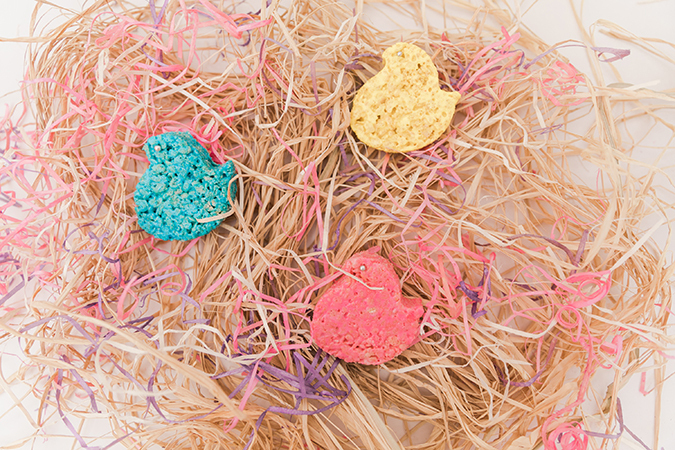 Peeps: You either love ‘em or hate ‘em. 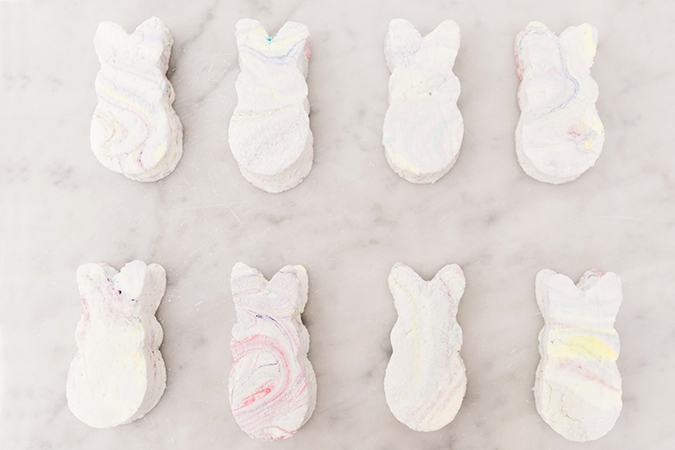 These fluorescent, sickly-sweet marshmallow Easter treats have made their way into almost everyone’s childhood Easter memories. 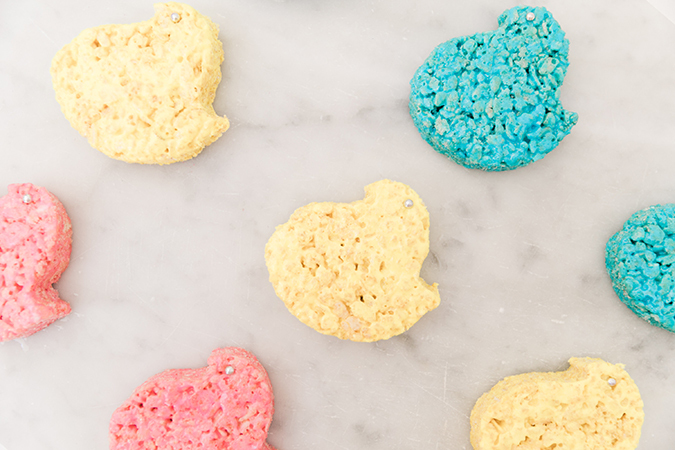 But now, as adults, there are so many other springtime sweets I would much rather choose (desserts like this one that don’t have super intense food dyes or preservatives, for example). 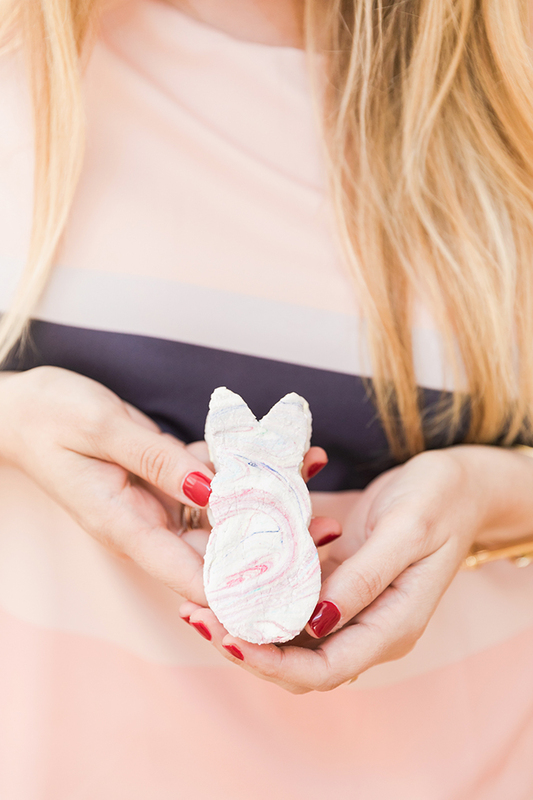 If you agree with me on that, then today is your lucky day, because we recently enlisted our friend and resident LaurenConrad.com baker to dream up not one but two homemade Peeps-inspired Easter treats to share with you all. 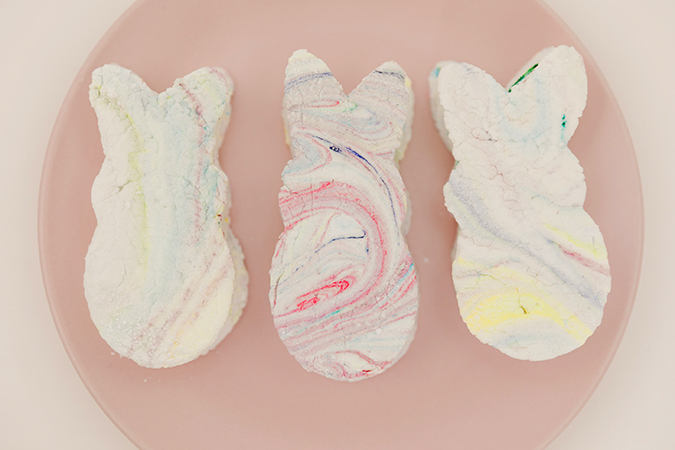 Lauren Lowstan put her own spin on Peeps with a homemade marbled marshmallow version, and a Peeps Rice Krispies treat as well. Trust me when I say that these will blow the original version out of the water… Enjoy!